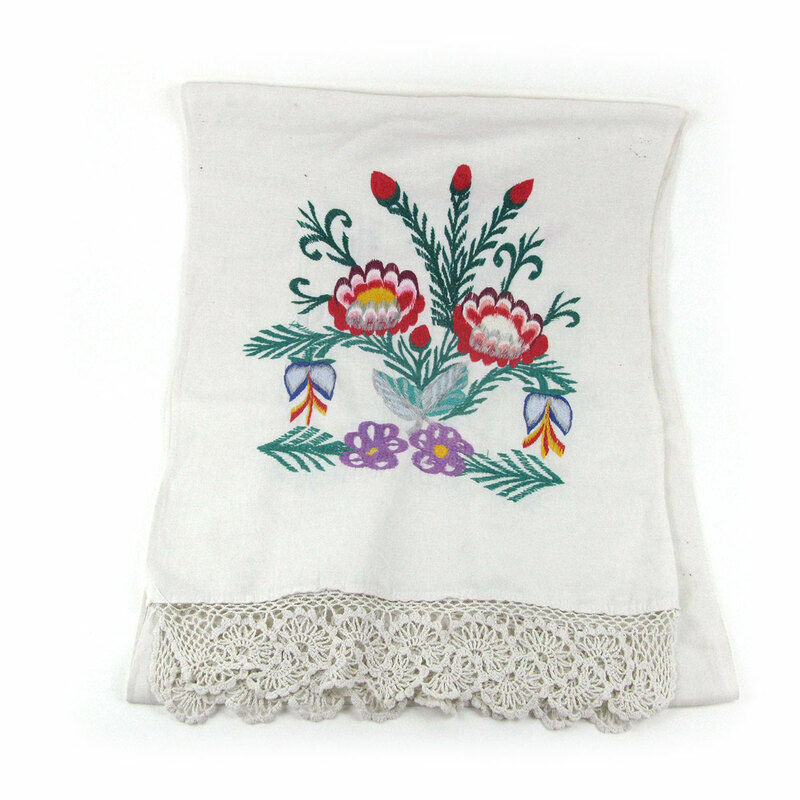 A machine-embroidered vintage Ukranian rushnyk with lace edging. 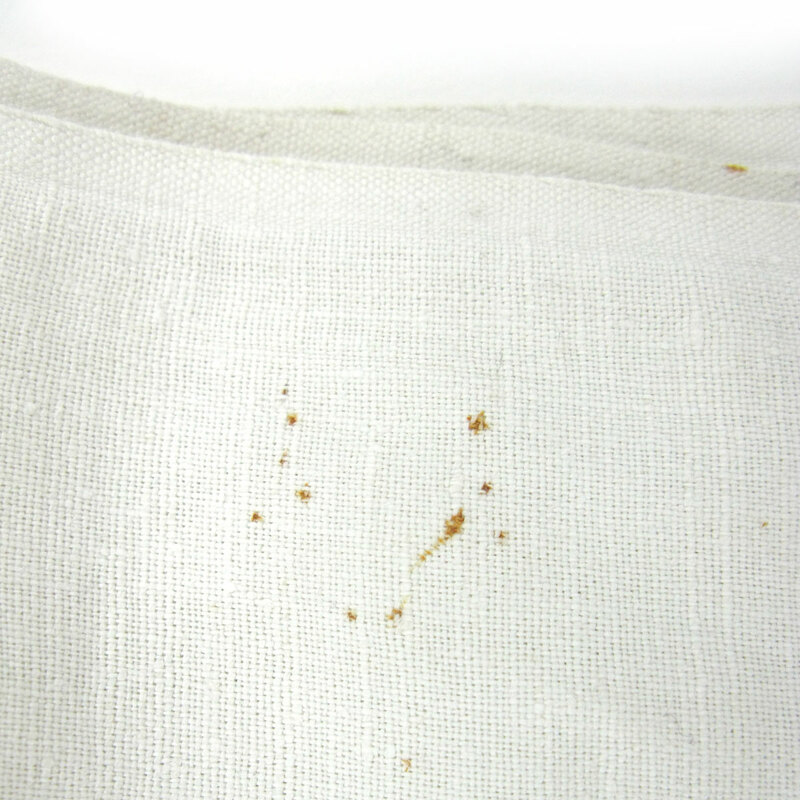 Some small dark marks, doesn’t detract from lovely item. 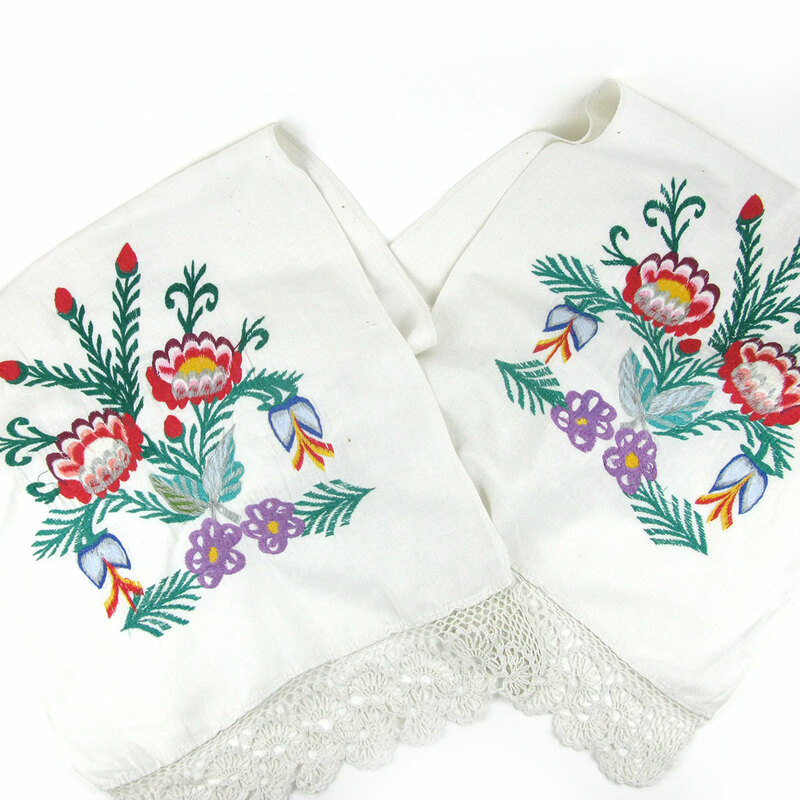 A beautiful embroidered vintage Ukranian rushnyk with lace edging. 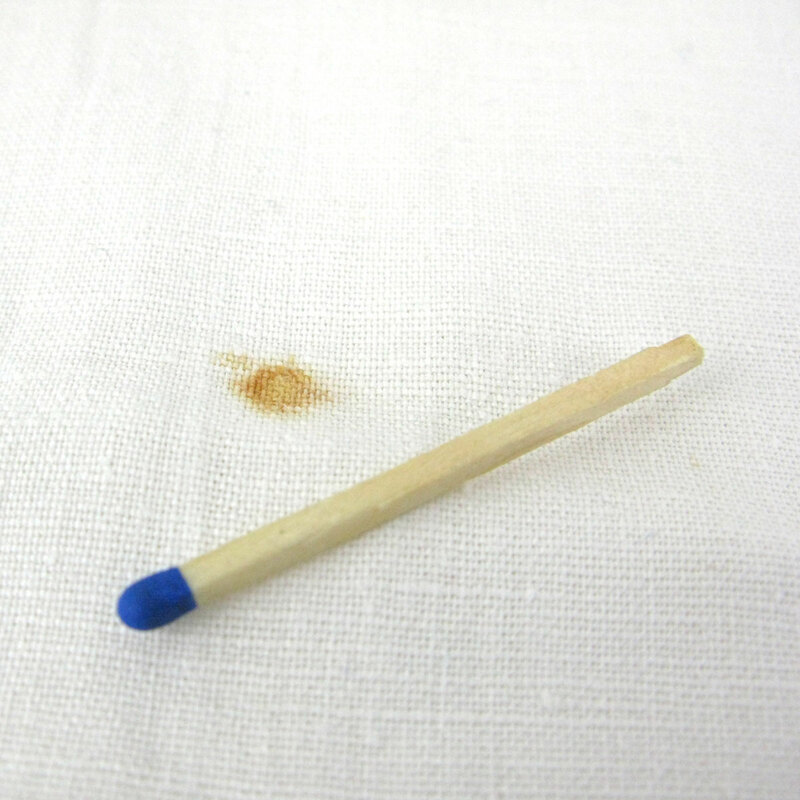 The machine embroidery and lace is at both ends of this long piece of cotton cloth that would have been used either as a towel or during special ceremonies. Rushnyks are often given to babies at birth and then follow that person throughout their life. 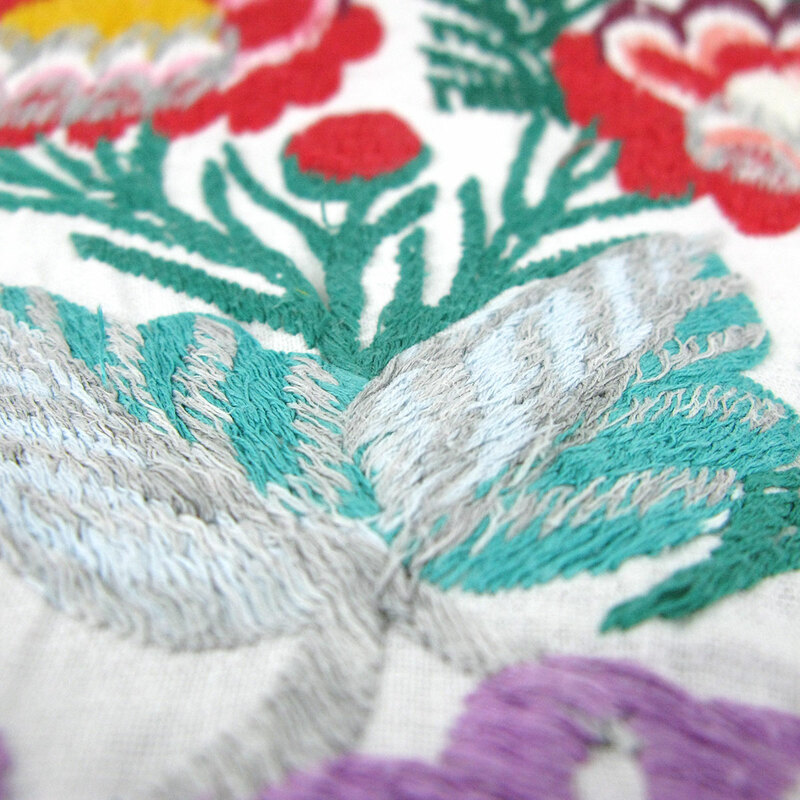 They are also used in Orthodox homes to decorate icons and corner shrines. If you don’t have a shrine in your home (!) 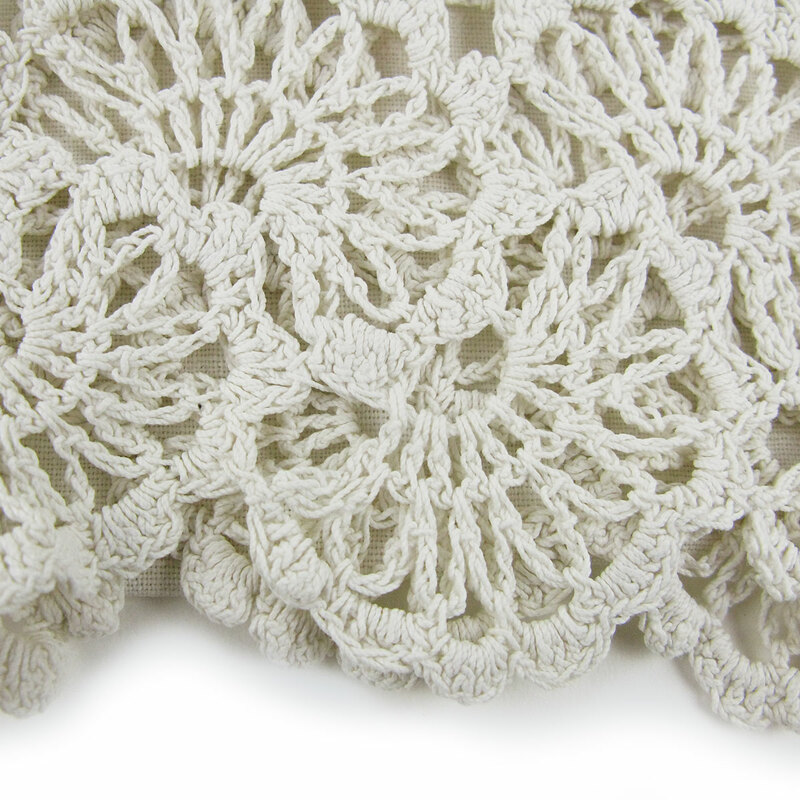 they make stunning hand towels or can be altered to become lace curtains. This piece has a few small dark spots on it but these do not detract from its charm. A superb piece of folk art for your modern house.